"ALL THIS TOOK PLACE TO FULFILL WHAT THE LORD HAD SAID THROUGH THE PROPHET"
This is our last Sunday of Advent. As we get closer to Christmas and the coming our our Lord Jesus, the Church seeks to remind us that these events were part of God's saving plan from the beginning of time and foretold centuries before. With great expectation and hope, the people of Judah awaited their savior. Now, that hope is fulfilled in the birth of Jesus. Our first reading (Isaiah 7:10-14) is a scene from the story of Ahaz, the King of Judah, who trusted more in the power of other nations to protect him than in the Lord. And so, the Lord God sought to give him a sign to reassure him. The LORD spoke to Ahaz, saying: Ask for a sign from the LORD, your God; let it be deep as the netherworld, or high as the sky! But Ahaz answered, "I will not ask! I will not tempt the LORD!" Then Isaiah said: Listen, O house of David! Is it not enough for you to weary people, must you also weary my God? Therefore the Lord himself will give you this sign: the virgin shall conceive, and bear a son, and shall name him Emmanuel. In our Gospel reading (Matthew 1:18-24), we hear the account of the Angel's visit to Joseph after he learned that his betrothed was with child. In this we hear the fulfillment of Isaiah's prophesy of so long ago. This is how the birth of Jesus Christ came about. When his mother Mary was betrothed to Joseph, but before they lived together, she was found with child through the Holy Spirit. Joseph her husband, since he was a righteous man, yet unwilling to expose her to shame, decided to divorce her quietly. Such was his intention when, behold, the angel of the Lord appeared to him in a dream and said, "Joseph, son of David, do not be afraid to take Mary your wife into your home. For it is through the Holy Spirit that this child has been conceived in her. She will bear a son and you are to name him Jesus, because he will save his people from their sins." 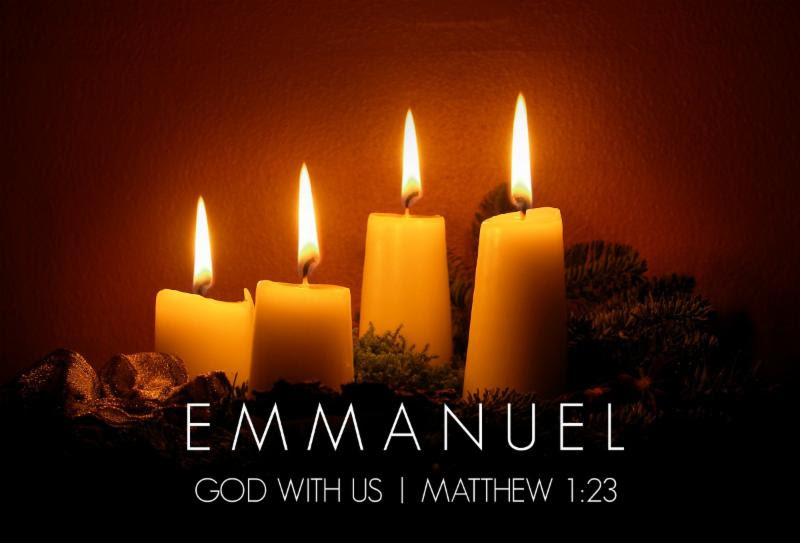 All this took place to fulfill what the Lord had said through the prophet: Behold, the virgin shall conceive and bear a son, and they shall name him Emmanuel, which means "God is with us." When Joseph awoke, he did as the angel of the Lord had commanded him and took his wife into his home. In our Epistle from the beginning of St. Paul's letter to the Romans (1:1-7), St. Paul explains the full impact of what this fulfillment means to all of humanity. We look forward to the events of next Sunday with joy and childlike anticipation, and yet we are reminded that God's plan of long ago unfolds anew each day in our hearts. That is the lasting impact of Christmas.